Dubai, United Arab Emirates, 17 February 2019– Jaguar Racing announced a partnership with the world's leading logistics company, DHL, to act as Global Logistics Partner for the new Jaguar I-PACE eTROPHY series. In its inaugural season, the eTROPHY will visit nine cities around the globe. It is the world's first all-electric championship for production-based cars. 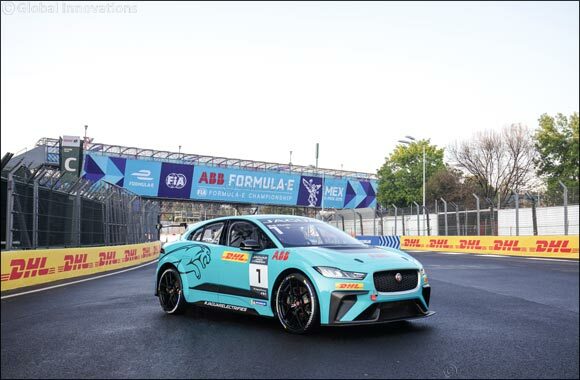 DHL will organise the logistics and transport all of the Jaguar I-PACE eTROPHY racecars, ABB charging systems, garages, spare parts and technical equipment. DHL has more than 35 years of experience in motorsports logistics, including the job of transporting the freight for the ABB FIA Formula E Championship. Jaguar Racing and DHL jointly developed a multi-modal logistics solution encompassing land, sea and air freight to deliver the equipment, safely, efficiently and on-time. Through early consultation, DHL was able to help reduce the championship's freight requirements from two aircrafts to one Boeing 747-800 freighter. The two brands are working together to develop innovative and bespoke packaging solutions to minimise freight and thus improve the championship's ecological footprint. The extended collaboration builds on the 23-year relationship between DHL and Jaguar Land Rover in the production and transport of its vehicles from manufacturing plants to customers around the world. Jaguar made history with the debut of the world's first all-electric production based championship, which took place in the historic surroundings of Ad Diriyah, Saudi Arabia, in December 2018.